Ambitious idea with no time to hire an illustrator? No problem. 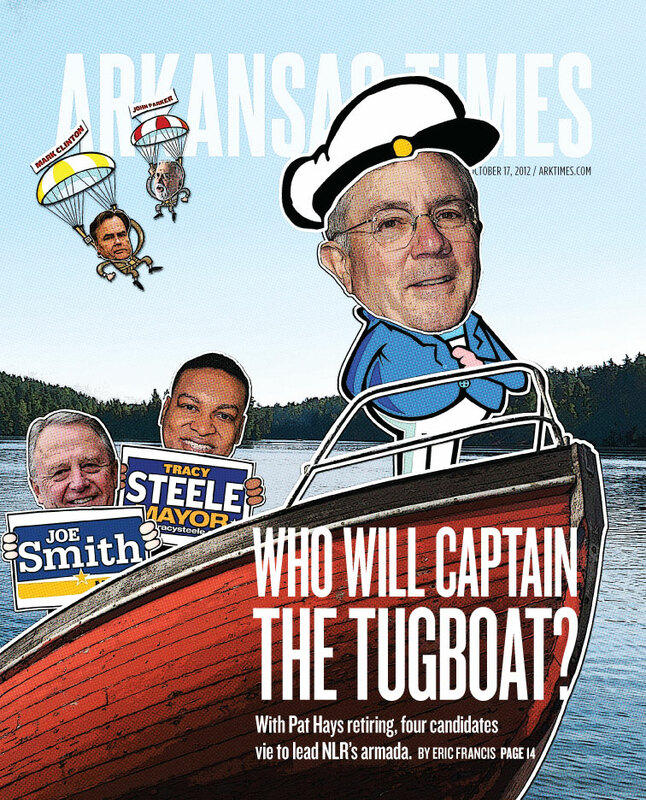 The outgoing mayor of North Little Rock, Pat Hayes, is a bit of a fan of nautical stuff. He’s got a submarine parked at the Arkansas River and wanted to secure an old tugboat as his lasting legacy. But, Hayes is retiring and a new mayor is stepping in. 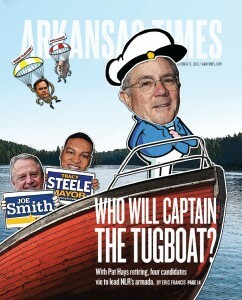 So the joke of a headline “Who Will Captain the Tugboat” turned into a very real idea. Only problem was, we didn’t have time for a full-out illustration from a freelancer who would be much better at drawing than I. So I went to work piecing together stock illustrations, stock photos and file photos. Quite the resourceful cover, I think.